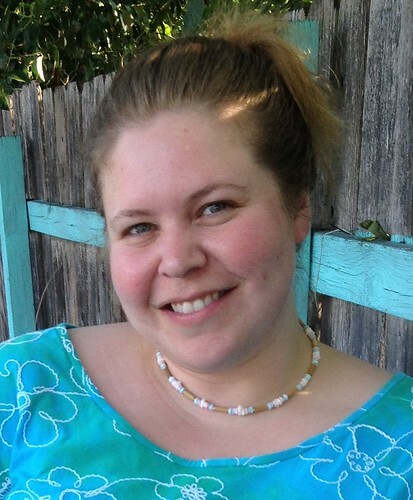 I, Susan of moonthirty.com, sign up as a participant of Me-Made-May ’13. I endeavour to wear 5 me-made items each week for the duration of May 2013. ETA: No repeats. My Cabarita. My favorite shirt in my closet at the moment, and I don’t have anything new to say about it except I better make some moar before it wears out. 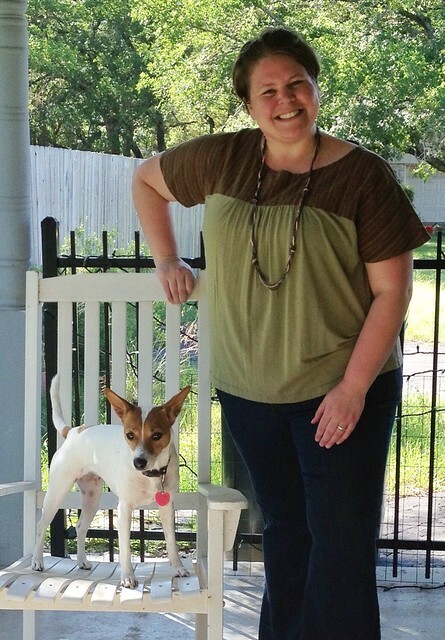 This top, my second from Butterick 5356, has been one of my most-worn over the past year. The first make from the pattern was donated long ago, since the fit of the yoke made it downright uncomfortable. I definitely need to whip out another couple of tops from this pattern. Oh and ELPHIE! I totally photobombed her picture. Double-dip of me-makes! 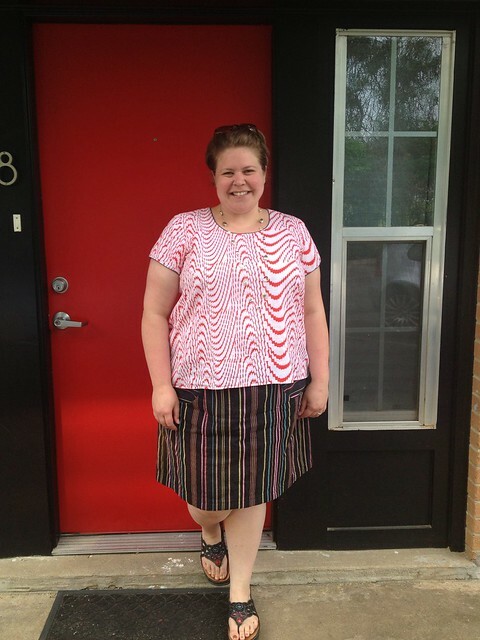 My electrocuted candy cane Scout is one of the SO MANY tops I have that go with my Hummingbird skirt. I was sick of the sight of my own backyard, so I took this pic in front of my friend Miss Lulu’s door — speaking of which, did y’all see her pose in front of that same door in her awesome Hazel?? This is an unblogged version of the Renfrew, if you can still call it such without the hem band or sleeve bands, and with a bound neckline instead of a neckband. 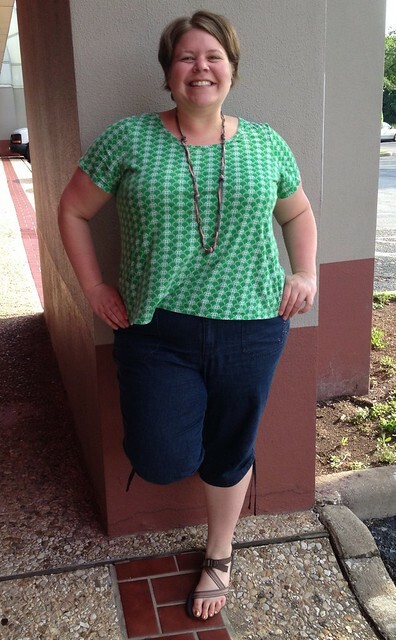 This outfit kinda epitomizes what Me-Made-May is about, so it’s fitting that it was my last one of the month. 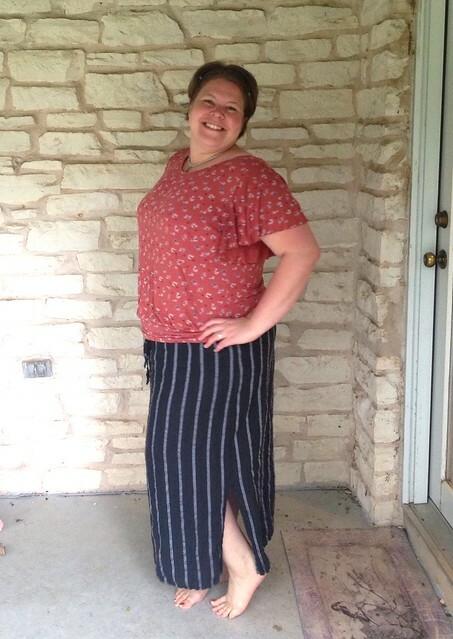 The skirt is made from pinstriped 100% linen, and it has a simple drawstring waist. I made it years ago (self-drafted, unblogged) and haven’t worn it in forever. I pulled it out in anticipation of this month, and I realized that I liked it with this top. And it actually made me like the top better, too. Note to self: Not every shirt is at its best with jeans. Response from self: Oh yeah. Whatever. Mathematically, my goal equated to approximately 22 different garments worn, and I accomplished 24! Even on non-May months, I wear me-made practically every day. But I tend towards the same pieces over and over, so I made the no-repeats resolution because I wanted to evaluate that. I wanted to understand what was keeping me from the garments that weren’t high in the rotation, and what I liked about the ones that were. Eliminate the pieces I’m not comfortable in. Make plans to sew more of what I love. (‘Cause goodness knows, I love me a good plan.) And from this perspective as well, I was successful. A few pieces are going into the donation bin due to style or fit, and one or two will be altered. Eventually. Right off the bat, I enjoyed MMM even more than I’d anticipated. The Flickr group was one of the most inspiring, encouraging parties I’ve ever attended! Of course, the documenting fatigue began to set in towards the end, hence the late final posting. (Am I the last one??) But I’m so glad I did it, and I join the chorus in thanking Zoe for leading it! Congratulations on a great me-made month. You’ve looked lovely all the way through. I’m so inspired to have enough me-mades in the wardrobe to be able to participate soon. HA! You know why that’s extra funny? When I was getting dressed to meet you on Friday, I almost wore the exact same thing as I was wearing when you saw me earlier in the week. (I decided not to because I didn’t want to wear IKEA fabric to IKEA!!) 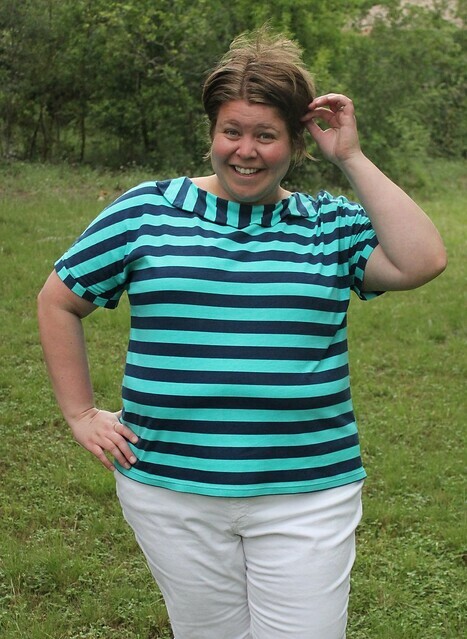 I totally wear something multiple times if possible… It’s just the right thing to do! I really liked your MMM – not just because you have some darned cute clothes, but also because your insights made me think about my own closet in a similar way. I decided not to do MMM because of travel, but now I’m doing my own version in an attempt to figure out what keeps me from wearing some of the things I make and why I choose others more often. great job on mmm! i’m impressed by your “no repeats” clause. i think it’s great to evaluate what we wear and why, so even if it’s not a challenge, per se, it’s a good exercise. there are several things in my closet (me made or not) that i just can’t throw into the giveaway pile even though they haven’t been out of the closet in months/years! if i can’t get rid of them, i should at least repurpose them. fortunately i have enough small people in my house that it’s completely possible! Very impressive! Well done on the no-repeats! I’ve tended to like icing in both makes and RTW. Over the last year or two I’ve definitely begun to re-evaluate this and started to change the way I buy RTW and plan my makes. You’ve definitely been part of my inspiration to do this! Thanks for always inspiring! Can’t wait to see what you’ve got planned next. What an accomplishment! What a month. Bet you’re glad it only comes once a year. ;) Your pup looks soooo sweet. I bet she doesn’t misbehave like ours does!